“Elijah” offers the first real standout piece of the book as it details the yearnings of a young man shielded from the world by a lover far more concerned with aesthetics than his partner’s happiness. The story that follows, “Dream,” is similarly strong, detailing the surreal nightmares of its protagonist and what they have to teach him when they begin to reflect reality. "War is in the Hearts of Men” allows a respite from the supernatural elements in the stories preceding it as the issue of the military’s “don’t ask, don’t tell” policy is dissected at length. The characterization, and the fact that each character is on the opposite side despite their shared sexual orientation and relationship, adds a great deal of depth and humanity to this piece. “The Glass Doe” provides some of the strangest and most fascinating imagery in the book as a man is forced to come to terms with the significance of a very strange creature in his yard. “An Amorous Thing,” pairs the reader with a murder victim and his journey from crime scene to grave and beyond. Boye closes his collection with “Bellaerama,” a story that follows an insane woman and her love for something between a split personality and an imaginary friend. The writing used is nearly as much bizarro poetry as prose. 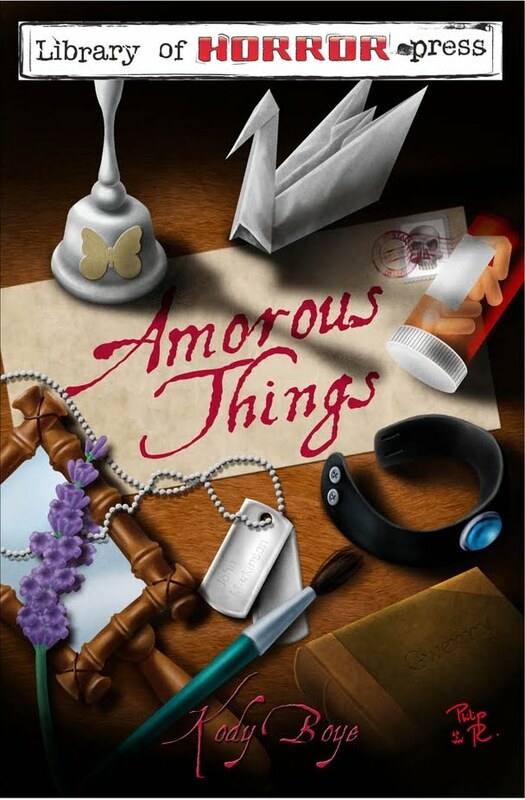 While there are a few stories (presumably older pieces) that could have used a bit more polish, “Amorous Things” offers an intriguing assortment to its readers. The stories have roots in everything from cryptozoology to Japanese folklore, and the variety of subjects is quite refreshing. Most importantly, the characters and their development are always at the core of each piece, and Boye’s care in crafting their personal journeys demonstrates an emotional connection to them that lends welcome power to his prose. Patrick Rutigliano resides in Indiana with his wife, Hannah, and a very peculiar cat he found on his doorstep. 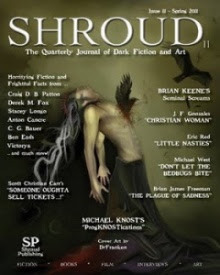 He began his professional writing career in 2007 with a sale to Permuted Press. Since then, his work has appeared in History Is Dead, Monstrous, and Shroud Magazine. A full bibliography of his work is available at http://patrickrutigliano.blogspot.com/ , although he advises the reader to take any of his rambling outbursts with a grain of salt.